Locally owned and family operated, we pride ourselves on our reputation and our ability to connect with our customers - expect the same of our employees. Strong candidates will display confidence in their abilities, have the ability to communicate effectively with customers and possess friendly disposition and a good sense of humor. We expect our employees to be punctual, maintain accountability and conduct themselves with integrity and professionalism in everything they do. 4 Less Termite, Inc. is seeking a responsible, punctual, and ambitious Construction Repair Lead with a strong work ethic. Under general supervision, the Construction Repair Lead will complete and oversee structural repairs, rough and finish carpentry work, and other carpentry related tasks as required. Compensation based on skills and previous experience. Bilingual a plus. A complete job description and instructions on how to apply can be found here. 4 Less Termite, Inc. is seeking an experienced, ambitious, personable and licensed Applicator (Branch 2 or 3) and/or Field Representative (Branch 3) to conduct (or learn and obtain license to conduct) inspections to identify infestation, sources and extent of damages, and conditions conducive to infestations of wood destroying organisms. Depending on licensure, the position will be responsible for conducting inspections and/or treatments, completing reports, and providing follow-up services to customers. Compensation based on previous experience. Construction experience a plus. A complete job description and instructions on how to apply can be found here. 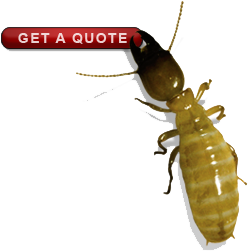 4 Less Termite, Inc. is an equal opportunity employer and provider. outstanding opportunities for professional development.